On Wednesday the Bishop of Basingstoke, David Williams, visited St John's. 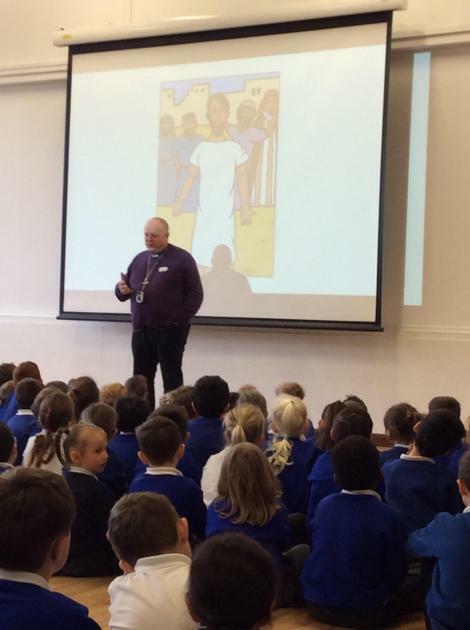 He joined us for our worship theme around friendship and talked to us about the importance of looking after our friends during difficult times and then led the prayer at the end of worship. 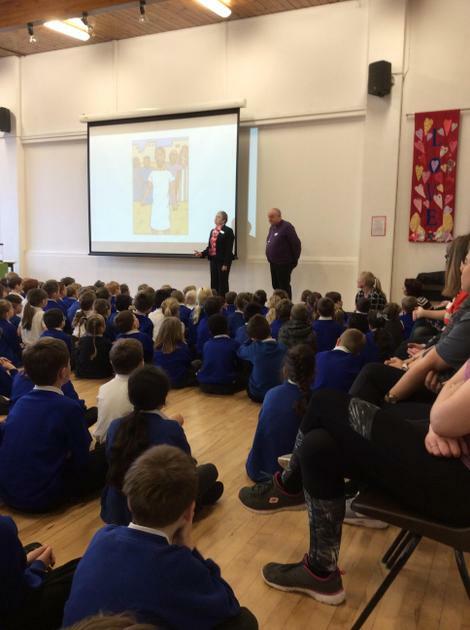 Bishop David also reflected back on his last visit to the school to open the eco-library and told us how he tells everyone about how energy efficient it is, including in a talk at Cambridge University! 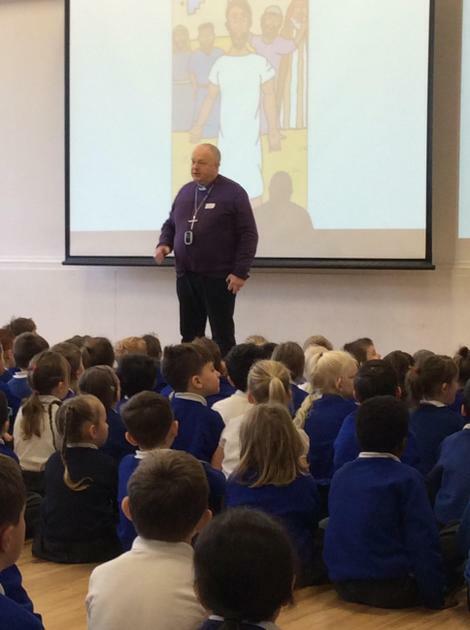 After assembly the school council got a chance to ask the Bishop lots of questions about his role and he really enjoyed speaking to everyone.